Korner Gem's one-of-a-kind unity beads are a unique pendant designed in the shape of a yin yang. 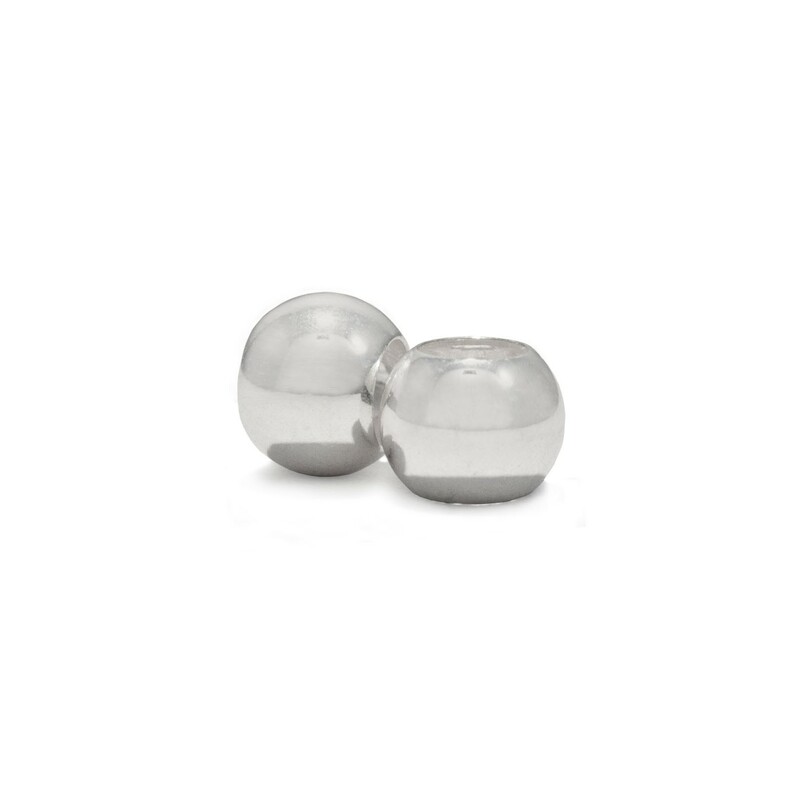 Unity beads can easily be interchanged with other stones and various add-on parts. Every stone is hand selected for the best quality and color. The design was inspired by walking the beaches of Lake Michigan and the idea of water and sand coming together. The range of color in Leland blue can range from a dark purple to a light blue, with some variations of green. *Leland Blue is a natural stone and will range in color. A complete necklace with Korner Gem's signature Petoskey Stone and Leland Blue Unity Bead with silver beads on either side. The beads are strung on a sterling silver omega chain for a stunning look that is representative of sea and sand in Northern Michigan. 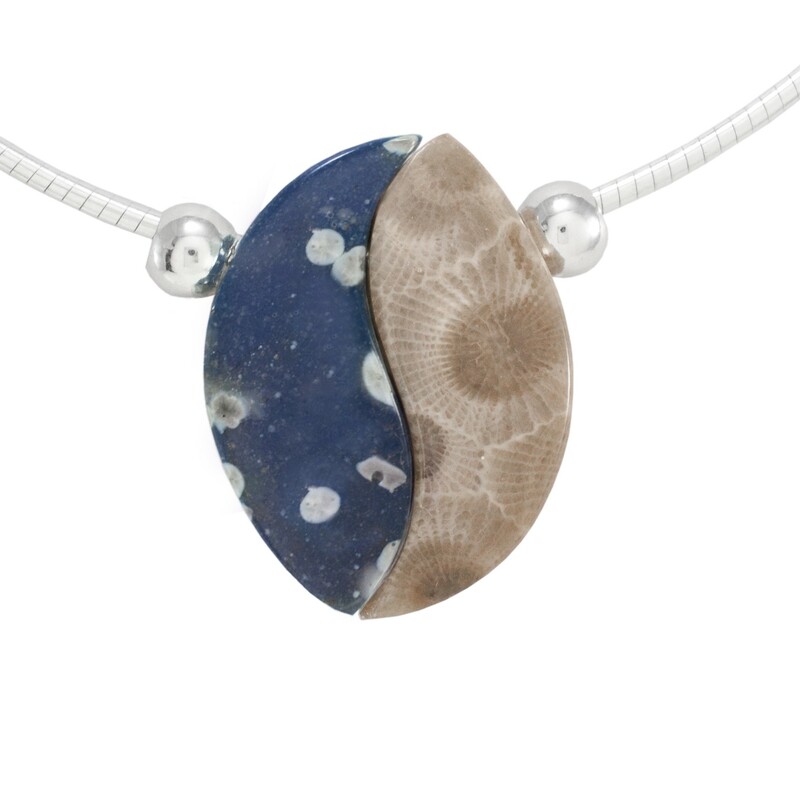 Leland Blue and Petoskey stones are natural stones and will range in color. The product seen in the picture is for advertisement purposes only and color may vary. Unity Beads are about an 1" wide by 1 1/4" tall. 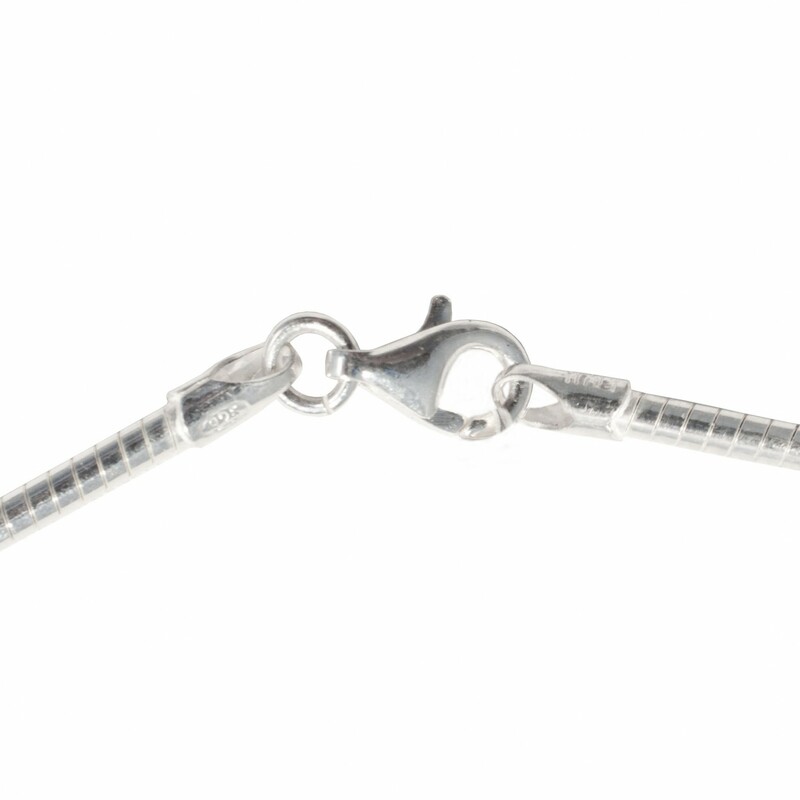 The omega chain is unlike a normal chain in that, instead of a series of linked rings, it is made up of smooth silver links which are set side by side in a flexible and smooth silver column. The necklace will fall into a natural circle when placed around your neck. It is perfectly suited to support the silver beads and stone beads of the Korner Gem Unity Bead necklace.